the power of love to achieve goals – Love. Life. Practice. Last month I mentioned the work of Jonathan Haidt, who helped popularize the “rider and elephant” model of the human psyche. That is, our conscious mind is a “rider” atop the giant behemoth of our desires, instincts, and subconscious conditioning. One of the weaknesses of the metaphor is the idea that the elephant is a vehicle to go where the rider desires. Someday, evolutionarily speaking, that may be the case; as it is now, though, rational thought is something that was pretty recently developed by humans (about 40,000 years ago). Meanwhile our baser instincts and desires – fight, flight, posture, submit, or freeze, for example – have been around for millions of years. They are pretty well set – though that is also their weakness. Here. Have a seat. Let’s talk about this. Remember when I said that the elephant’s instincts are also it’s weakness? 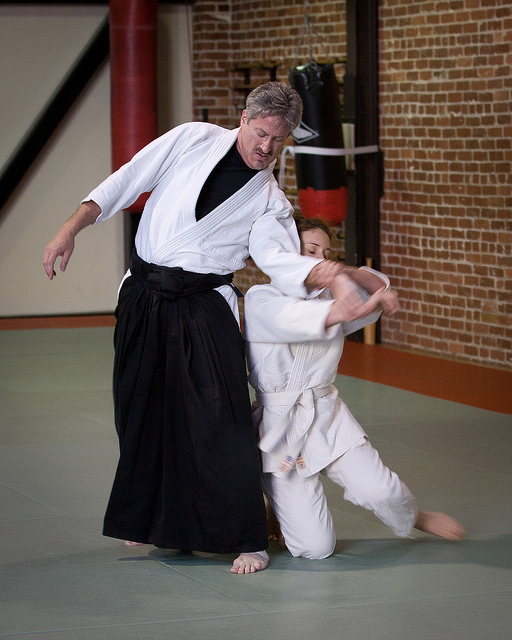 That’s because you can do some psychological aikido on yourself. Aikido is a martial art that uses the idea of blending with your opponent’s momentum and then subtly guiding them in the direction you choose – letting their own effort do the work. In personal development terms, this means that rather than fighting against the force and direction of this eons-old biological mechanism, the rider looks at the direction the elephant is going and figures out how to channel that into a constructive direction. I have been cultivating a habit of no processed sugar during the week. It’s sometimes difficult – cravings happen, though I’ve not caved yet. On the other hand, I make a point when the cravings are the worst to have something with a strong taste: sharp cheddar, or a sugarless raspberry scone with butter. This distracts the craving and makes it easier to hold to my goal. (side note: so far I’ve lost about 5 lbs. with just this life hack. Your mileage may vary). The best exercise app I’ve ever purchased. I love fiction. I’m in a constant battle against my elephant to be productive when it would like nothing better than curling up with a good book, an engrossing movie, a podcast. 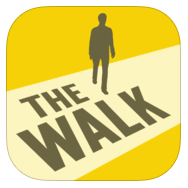 But the application “The Walk” harnesses this desire for narrative by only giving me chapters after I’ve walked a certain amount of time. According to the app, since I started listening to the thriller I’ve averaged 63 minutes of activity a day, over ten hours of intentional walking since I started a couple of weeks ago. I have literally taken the long way home just because I wanted to find out what happens next. For a long time I’ve been interested in typography. The art of letters is fascinating to me – take a look at this game, for example – but I never went to graphic design school, there’s no way I could justify (if you’ll pardon the pun) spending a great deal of time on it professionally. Thanks to a gift from a friend who happens to also be a professor of typography, I’ve re-discovered this interest as a hobby. The goal is not to make a career of it; it’s to make a craft of it, and perhaps eventually create a font that I will pass on to my grandchildren. Rather than fight your desires, is there a way you can channel them into a positive direction? That guilty pleasure that you keep chastising yourself about, that you spend so much energy resisting: what happens if you give in, but connected with something else that your rider actually knows is good for you? It’s a good idea to take a look at those urges so that you can better understand the motivations behind what you do. It’s much less taxing than trying to come up with complicated rationalizations for your behavior or, worse, spending a huge amount of time chastising and guilt-tripping the elephant or the rider for simply being themselves. Like it or not, you’re rider and elephant. It’s a good idea to learn to love both.